Spinal Decompression is a non-invasive, non-surgical therapy where clinical results have been effective in over 86% of patients treated. 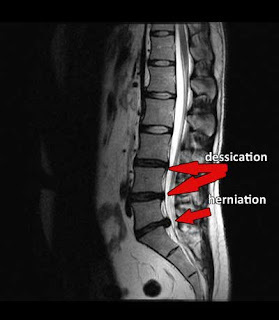 The common problems of many back conditions are damaged discs and poor spinal muscle control. Spinal decompression treatment addresses both of these core problems. The Spinal decompression system creates a controlled unloading of the vertebra to decrease disc pressure thus increasing blood and nutrient exchange. This exchange of fluids is something the damaged disc needs to help it heal from the inside out. Which conditions respond well to Spinal Decompression? The conditions that respond well to spinal decompression include disc herniations (both single and multilevel), disc bulging, degenerative disc disease, facet syndrome, sciatica neuritis, lumbar and cervical radiculopathy, leg pain, carpal tunnel syndrome and osteoarthritis. It depends on the complexity and extent of the rehabilitation needed, however we typically treat 3 times per week for 1 month, transitioning from passive to active treatments as the patient responds. The treatment is administered over a reasonable time frame and the patient’s response is continually evaluated. Further treatment may be necessary or a reduced frequency may be recommended at that time. The rehabilitative phase may include additional spinal decompression treatments, with spinal adjustments to enhance the results. Most patients are released from treatment after 8 weeks. The gentle stretching and relaxing of the spine fosters a phenomenon called “imbibition.” This is the way a normal disc gets nutrition. This pumping action promotes nutrition intake into the discs, something often lost in damaged and degenerative disc conditions. A disc with poor imbibition, fewer nutrients and hydration, is more likely to become injured and painful. Tractioning the spine in a controlled, comfortable manner can help re-establish a more normal imbibition. This can re-supply the disc with nutrients and blood contact that help the disc heal from the inside out. The dramatic increase of pressure in the disc (decompression) can foster the drawing in of a bulge and help take pressure off a “pinched” spinal nerve. Are spinal decompression treatments safe? The spinal decompression treatments are one of the most gentle and comfortable therapies available. The treatments utilize FDA cleared equipment with proven safety and efficacy and have never been reported to cause injury. Most patients report a mild sense of stretch on their backs or hips, and often fall asleep during treatment sessions.